What is User Experience (UX) design and why does it matter in today’s technology and information driven business world? UX can be best described as an individual’s level of design with IT systems; graphics, interface, industrial design etc. Modern User Experience design fully incorporates Human Computer Interaction (HCI) and compliments it by catering to all aspects related to a product and/or service, as it’s perceived by consumers. User Experience (UX) is considered the new Information Architecture (IA) and when it comes to learning more about usability and user experience design, a handful of user-friendly resources can be taken advantage of. Whether you’re looking to take on your first survey, indulge in case studies, interviews or podcasts, these resources may give you crucial insights into how you can best evaluate and utilize this information to your advantage. Let’s take a look at some highly-recommended sources. Here you’ll find all things “user experience”. You can expect to come across diverse information on UX and related fields. Articles published here come from experienced professionals working in all areas of UX who have taken it upon themselves to explore it from a number of perspectives. 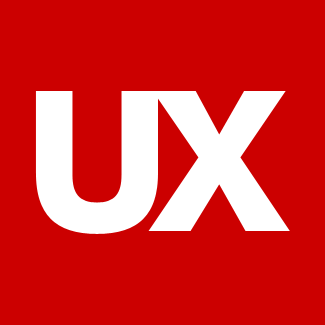 This blog can be particularly useful to UX practitioners. 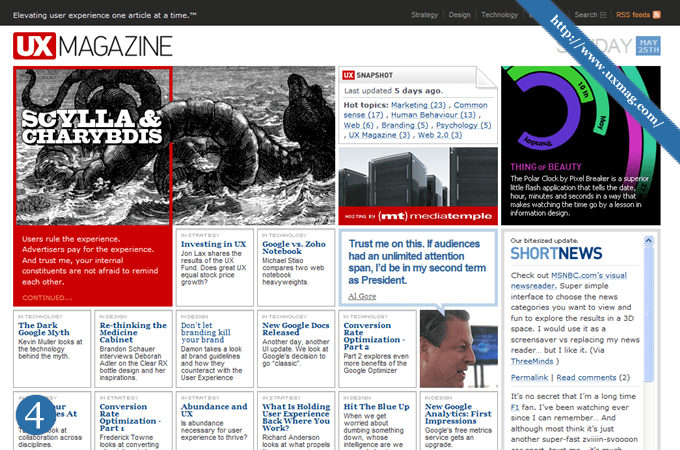 Found aplenty are articles and resources on user experience, usability and interaction design. Published to accommodate the User Experience Community, UX Booth is a straightforward resource you can rely on. A bi-weekly column published by Dr. Jakob Nielsen, this blog is an absolute must for anybody who’s even remotely into UX. Dr. Neilsen owns the Nielsen Norman Group that’s responsible for conducting extensive UX research that’s based on actual evidence, in addition to training and consulting. He’s has been dubbed “the world’s leading expert on web usability”, courtesy of US News and World Report; “the world’s leading expert on user-friendly design”, according to Stuttgarter Zeitung, Germany; “the guru of web page usability”, The New York Times, among many others. Since his blog was conceived in 1995, it has had an astonishing 12 million page views annually. UIE, a consulting firm that specializes in website and product usability, is among the leading authorities today when we’re talking research and training. You can find ground-breaking insights from Jared Spool in their blog, who’s considered a research pioneer at UIE. Even if you’re into podcasts, this blog is essential for acquiring design tips. Take a deeper look by checking out “6 popular articles from 2012”. Working in the web industry for over a decade, Nick Finck is quite popular in the user experience professional circle. His areas of expertise include interaction design, information architecture, user research and usability for both web and mobile. You can read up on all of this in his blog. Be sure to look up “Gifts for User Experience Geeks 2011” for invaluable UX tools. The “A List Apart” magazine contains loads of articles that dive into UX aspects like design, meaning and development of web content standards and best practices. Articles found here are written by developers, producers, architects and specialists from a variety of related industries. A blog that’s devoted to graphic design, interaction design and information architecture among others, Boxes and Arrows has contributions from specialists that know how to provoke thinking, push limits and come up with a handful of related extras in the process. A web magazine that publishes articles and columns on UX, is a great source for getting familiar with information design and usability. Information found here floods in from experts all over the world. What you’ll find are relevant topics that cover theory and practice as well as innovative and practical solutions that go a long way in covering UX bases. If you’re the type who generally doesn’t enjoy reading detailed definitions of trends or ideas, this source has everything you need to get up to speed on specific topics that can be filtered according to code, design or UX. A film that can be easily found on Netflix Instant and major streaming sites, goes well beyond digital space to portray facts and details on how usability can be successfully applied to just about every interface. Seeking insights and practical tips on usability, UX, remote research or visual design? This source is right up there and may fill in the void of your UX-based needs. Articles come from much acclaimed technical writer and “UXer” Sabina Idker, who’s also Usabilla’s community manager. The Web has tones of useful resources and links that will undoubtedly reel you in deeper into the world of usability, user experience and information architecture. The resources mentioned in this article are among the most reliable and current ones you can expect to come across today. About Author: Roman Viliavin, vice CEO at Promodo. Unconventional Thinker and candidate master of chess. Roman has been working in the field of search engine optimization since 2005 and is the moving spirit of the company. Participant and speaker of all major events in SEO business. Roman has successfully completed dozens of projects and gladly shares his experience with SEO community via articles and various online and offline publications. Follow Roman on Twitter and Facebook. Thanks for the tips and advice!! !